I found this floating around on Tumblr the other day and thought it'd be a interesting read to see people's recommendations for products, and their routines etc. If you want to do this tag please feel free, and leave me a link to yours below so I can read what you've written! 1) How many times a day do you wash your face? I use a cotton wool pad and Good Things Deep Pore Anti-Blemish Cleanser in the morning, and then use a proper scrub/toner in the evening when I'm in the shower. 2) Skin type? I have quite dry skin, which is annoying. And I haven't found my perfect moisturiser yet, but I'm currently testing Philosophy's Hope In A Jar. 3) Current facial wash? I have Liz Earle's Cleanse and Polish. 4) Exfoliate? Absolutely, every day to get rid of the dry skin. 6) What moisturiser do you use? I have MAC's Mineralized Charged Water Gel, Philosophy's Hope In A Jar and Benefit's Triple Performing Facial Emulsion on the go at the moment! 7) Do you have freckles? I have a few, but mostly they come out in the summer. 8) Eye Cream? I don't usually use one, but I tried the Benefit skin care eye cream and really liked it. 9) Do you have acne-prone skin? Not really, I get the odd spot here and there on my chin. 10) Did you ever use ProActive? I have no idea what that is! 12) Concealer? I have four concealers that I use, Maybelline Fit Me, Collection Lasting Perfection, YSL Touche Eclat and Benefit's Bo-ing. 13) Do you know your undertone color? Nope, and if anyone could tell me how I find out that'd be nice! 14) What do you think of falsies? I love them! Especially for a night out. 15) Are you aware that you should change your mascara every 3 months? I am, but I don't. 18) What brand of mascara do you use? Ok, where do I begin? Revlon Grow Luscious, L'Oreal Volume Million Lashes Excess, Covergirl Lash Blast, Collection Skyscraper, Lancome Hypnose Star. 19) What tools do you use? MAC, Real Techniques and Urban Decay brushes, Shu Uemura eyelash curlers, sometimes a sponge. 20) Do you use eye primer? I have the MUA primer, it's pretty good! 21) Face primer? I've got Benefit That Gal on the go at the moment. 22) Favorite eye shadow? I love MAC eyeshadow, and the UD Naked Palette. 23) Pencil or liquid liner? Both! 24) How often do you poke your eyes with eyeliner pencil? Umm, it's not top of my priorities! 25) What do you think of pigment shadows? Good pigment, but too messy. 26) Do you use mineral makeup? Not at all, it's far too messy! 27) Favorite lipstick? MAC Creme Cup. 28) Lip gloss? Lancome La Laque Fever, or Natural Collection. 29) Favorite blush? MAC Dainty. 30) Do you buy your make up on eBay? Never. 31) Do you like drugstore makeup? Definitely. 32) Do you go to CCOs (cosmetic company outlets)? I'd like to if I could find one close to me. 33) Do you consider taking makeup classes? I think they'd be good to take, but they're expensive. 34) Are you clumsy when putting on makeup? I am with my liquid liner! 35) Name a makeup crime that you hate: Wrong foundation colour. 36) Colourful shades of makeup or neutral? Neutral all the way. 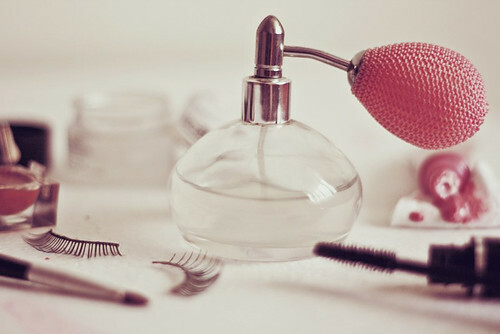 38) If you had to leave the house using one makeup product, what would it be? Mascara. 39) Can you leave the house without makeup? Definitely, I'm not wearing any at the moment and haven't all day! 40) Favourite brand of makeup? MAC, Urban Decay, Maybelline, Lancome. please, if you find a good moisturiser, will you share with me, I've been looking for the one for sooo long and I have dry skin too! Of course I will! I am still on the hunt for the perfect one though so it might take some time! i'm so clumsy with liquid eyeline as well. I just rather use kohl. Minimal mistakes! It's never as straight as you want the line to go is it? !